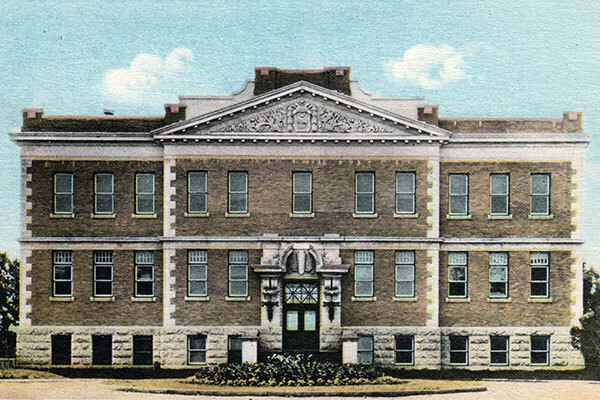 This building, designed by provincial architect Victor Horwood and constructed in 1912-1913, was one of four Normal Schools in Manitoba, along with St. Boniface (1903), Manitou (1904, demolished), and Winnipeg (1905-1906). Prior to the building being constructed, the Normal School had been held in the Park School. 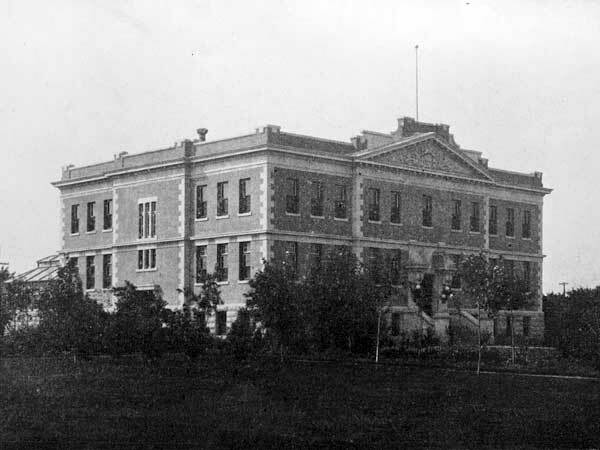 With Benjamin J. Hales as its Principal, the Brandon Normal School served as the centre for rural teaching instruction until the end of the 1941-1942 school year when the building was occupied by the Department of National Defence. It was turned over to the Manitoba Department of Agriculture in 1946 for its southwestern operations. It became the Agricultural Extension Centre in 1959. It is still used as office space by the provincial agricultural department. A commemorative plaque north of the building was erected by the Historic Sites Advisory Board of Manitoba. 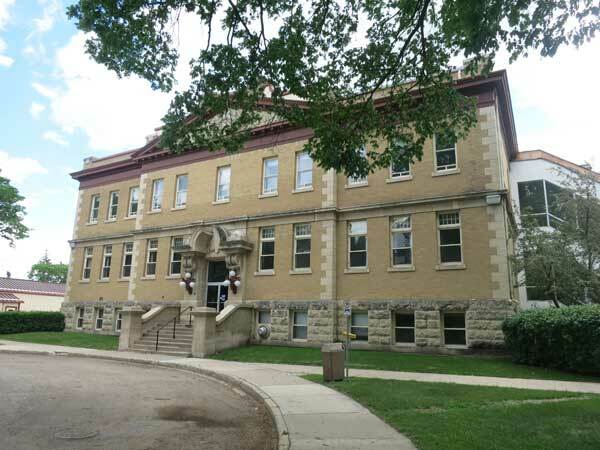 Among the teachers who worked at the Brandon Normal School were: Charles K. Newcombe (1906), Frank B. Fenwick (1906), and J. McLaren (1906). Source: Education Department Report, 1914, Manitoba Legislative Library. Brandon: A Prospect of a City by Mary Hume, 1981. Manitoba Normal School Principals, 1939-1965, Manitoba Education Library Archives. We thank Terry Hewitt for providing additional information used here.